The Ultrastar 7K4000 is an enterprise class drive that offers the industry's highest hard drive capacity at an enormous four terabytes of storage with 7200 RPM performance in a standard 3.5-Inch form factor. 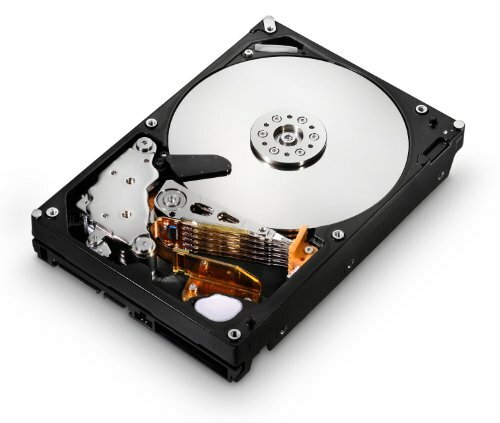 This drive uses Advanced Format, which increases the sector size on HDDs from 512 bytes to 4096 (4K) bytes, thereby increasing capacities and improving error correcting capabilities. Consult the Hitachi Advanced Format Technology Brief for more information. The Ultrastar 7K4000 delivers an extraordinary blend of capacity, performance and power efficiency. This model will ship with 64 MB cache buffer and 6 Gb/s SATA interface, making it an ideal storage platform for enterprise computing. Leveraging eighth-generation power management technology, including power-saving innovations like HiVERT technology, this drive delivers excellent power efficiency and thermal emissions to help manufacturers meet energy compliance targets and extend drive life.